What do on ice sessions cover at camp? At Barron Hockey we will not over coach. Audible cues will be tough and quickly learned from players. This way we do not have to stop drills/concepts but give them cues that they have become familiar with and make the necessary adjustments as drills are still going on. This way players get the necessary reps in to learn and master a technique. Instructor ratio is one of the highest you will see at similar camps. Our instructors are attentive to all skill details that are being taught, correcting as needed with a positive attitude and constructive criticism. As our instructors get to know the players at the first session, players will be separated by individual skills sets and not by age. Allowing players to put it all together. 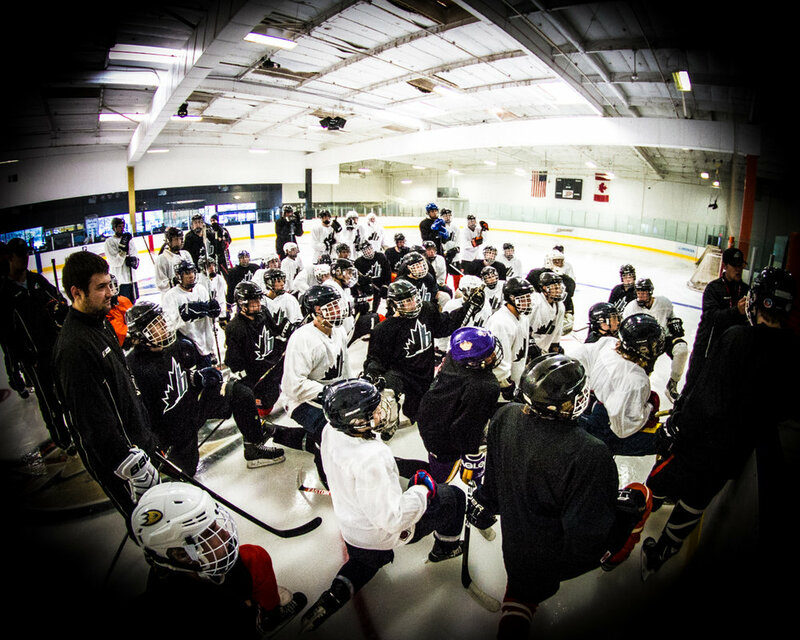 The freedom of allowing players to think and be creative while simply playing hockey. Understanding and helping players to problem solve and find solutions. 1 vs1’s, 2 vs 2, 2 vs 2 activation two pass 3 vs 3 and other situations to master quick cognitive decision making, creating hockey sense and intuition. This list of games goes on with basic rules that players need to follow.